For general Department of Gastroenterology news, please visit the CCS blog. Type "Gastroenterology" in the "Search this blog" box, for gastroenterology news. See Gastroenterology research studies index page. Not all studies listed are to do with low FODMAP. An Android version of the highly successful Monash University FODMAP smartphone application is now available, see link. In December 2012 the FODMAP app for the iPhone platform was launched by the research team at the Department of Gastroenterology at Monash University, providing accurate information about foods that trigger irritable bowel syndrome (IBS) for the first time using this technology. See CCS blog story. Posted 08/11/2013. Professor Peter Gibson, HOD Gastroenterology, gave Central Clinical School's public lecture on 30 October 2013 on "Beating the Bloat: Irritable Bowel Syndrome and the low FODMAP diet". The event attracted a large audience. 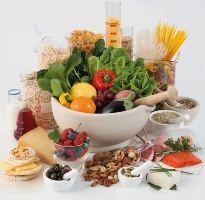 In brief, research shows that once the low FODMAP diet is followed for a certain period, symptoms will settle down for a high proportion of people, and there can be a careful reintroduction of higher FODMAP foods to ensure good nutrition including micronutrients. Dr Ilana Gory, a PhD student in the Department of Gastroenterology, reported on her research at the Australian Gastrointestinal Week. Her topic was "Cystic Fibrosis is associated with an increased risk of colorectal malignancy and adenomas". As a practitioner, she and her team at Alfred Health had anecdotally observed high rates of cancer in patients with cystic fibrosis. Her scientifically based study found that patients with cystic fibrosis (CF) may be up to ten times more likely to develop colorectal cancer. Posted 15/10/2013. The Nutrition Translational Science group has completed analysing a range of tea, coffee and hot chocolate beverages, see detail at Research updates. The information will be added to the Monash smart phone FODMAP app. Posted 18/10/2013. Gluten free food has become a way of life for hundreds of thousands of Australians, and their dietary needs are driving the market. Dr Jane Muir, Head of the Nutrition Translational Science group, was interviewed for the ABC television program 'Landline', broadcast Sunday 6 Oct 2013. She said that it may not be gluten so much as a type of carbohydrate called fructans which was causing the problem. Older wheat types such as spelt had lower fructans levels and did not cause such a problem for those with irritable bowel syndrome. Jane Muir at 18:40 mins. Transcript: www.abc.net.au/landline/content/2013/s3863244.htm. Posted 10/10/2013. The Nutrition Society of Australia (Melbourne), Monash University and MyGene held a fully subscribed symposium for dietitians on how to design genetic research projects and implement nutrigenetics in their practice on 27 August. For more see Symposium flier. See also Workshops/Seminars page. Enquiries & RSVP to brianna.mcfarlane@monash.edu. Updated 10/10/2013. Participants, both healthy and with IBS, are sought to investigate whether glucose helps in fructose absorption, thereby eliminating symptoms of fructose malabsorption. See Research study page or contact Caroline Tuck, email caroline.tuck@monash.edu, ph +61 3 9903 0264. Posted 07/08/2013. The Monash University Low FODMAP diet booklet has been revised and is now in being distributed in its fourth edition. The booklet contains 10 new recipes and includes information about the new traffic light system that has been used successfully in the Monash University Low FODMAP diet iPhone app. A new reference table has also been included that lists the major FODMAPs (fructans, GOS, excess fructose, sorbitol, mannitol and lactose) found in a wide range of foods. See Educational resources page. Posted 09/07/2013. The low FODMAP diet is the best diet therapy to control gastrointestinal symptoms in people with Irritable Bowel Syndrome (IBS). The restriction of FODMAPs aids in preventing these symptoms from occurring. However, some FODMAPs are known to have health benefits as they can promote the growth of beneficial bacteria, and bacterial fermentation can have anti-inflammatory and anti-carcinogenic properties. Individuals with diarrhoea predominant IBS, with good symptom control on the low FODMAP diet are invited to participate in a study investigating whether certain aspects of the low FODMAP diet can be liberalised without symptoms. The study was conducted by Honours student Ms Frances Burns, and closed for recruitment in October 2013. Updated 18/10/2013.